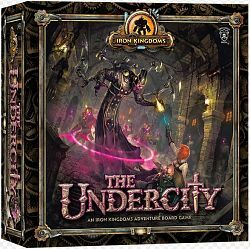 Board Game City - Shop online for cheap board games in the UK. Welcome to Board Game City! If you know the name of a game you are looking for then you can search for it or select a letter above, or browse through the categories on the left or below. In the German language Spiel Des Jahres means Game of the Year. Each year (since 1978) a board game that has been published in Germany within the past year is given the honor of being awarded the title of Spiel Des Jahres. In more recent years another two awards are also given annually for the Children's Game of the Year (Kinderspiel des Jahres) and the Connoisseur's Game of the Year (Kennerspiel des Jahres). (Kinderspiel des Jahres) Geister, Geister, Schatzsuchmeister! (Kinderspiel des Jahres) Schnappt Hubi! What is a board game ? Well our definition is : a fun, entertaining and often competitive activity that uses at least one board usually laid flat horizontally, with markings (images or text) on it. Elements will be placed on the board(s) during the game with their position on the board integral to the game. The game elements could be counters, figures, cards, tokens, pegs or coins to name just a few. Quite often, though not always, a random factor like a dice forms an essential element of the game, though this is often rolled alongside the board rather than on it. A set of rules defining the game play will instruct players how to set the game up, how to play it and the winning conditions or the end of the game. which action movie released in the Summer of 2012, is (loosely) based and named after a popular board game ? ...Battleship, is the name of the movie, which is very loosely based on the board game Battleship. It features 5 ships trying to take out another 5 ships and vice versa ... and then along comes a third player (but we'll let you watch the movie). No doubt a game based on the movie, based on the game will be released too! what is the oldest board game ? ...Senet is believed to be the oldest board game, which has been found in an Egyptian burial tomb, estimated to date back to 3500 BC. The board consists of 10 columns x 3 rows of squares, with pawns as playing pieces. Historians have made educated guesses as to the rules of play (as none have been found), which has resulted in a number of different rules sets being constructed for the game. where in the UK do humans annually play the part of actual chess pieces ? and why ? which game was played at the largest board game tournament ? ...the largest board game tournament comprised of 1,214 players, playing chess in Krasnoyarsk's Central City Park, Russia. They played on the 2nd June in 2007 with 607 chess boards and 19,424 game pieces! which game was played in the longest board game session ? ...the longest board game session lasted 50 hours. A group of 6 Canadians headed up by Martin Phillips-Hing played the Settlers of Catan board game along with the expansion Cities and Knights. They played a full 12 games and finally gave in partway through the 13th game. This board game marathon started on the 16th of January 2009 and finished on the 18th January. I'm sure we've played games of Risk that lasted longer than that - though we must admit we did sleep in between gaming sessions.